in production, we depend on the means available to us – and of course on the knowledge of how to use these means. 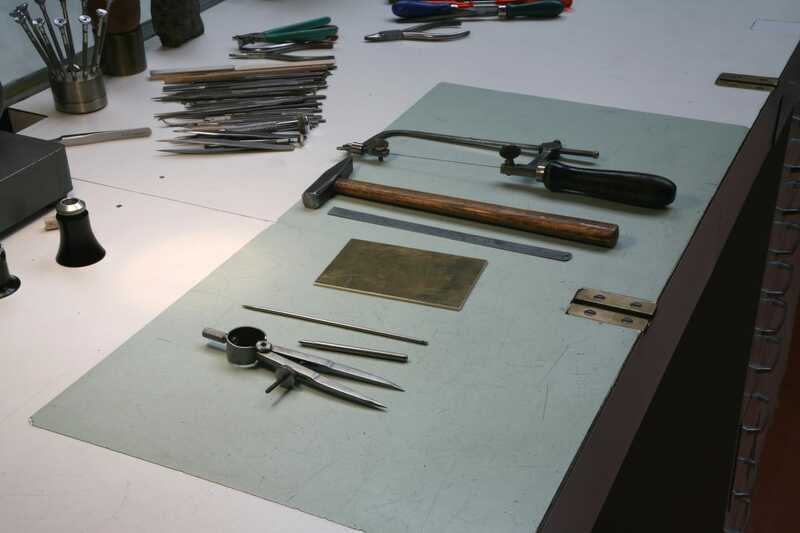 using a compass tool, a ruler, a marking pen, a saw, a file, and an engraver, metal can be fashioned into almost anything. martin brunold proves this convincingly with his astrolabes and his models of the world. if i think about what kind of watch i should construct, and how i can construct it, then the “should” is already limited by the “can”. the latter determines the former. 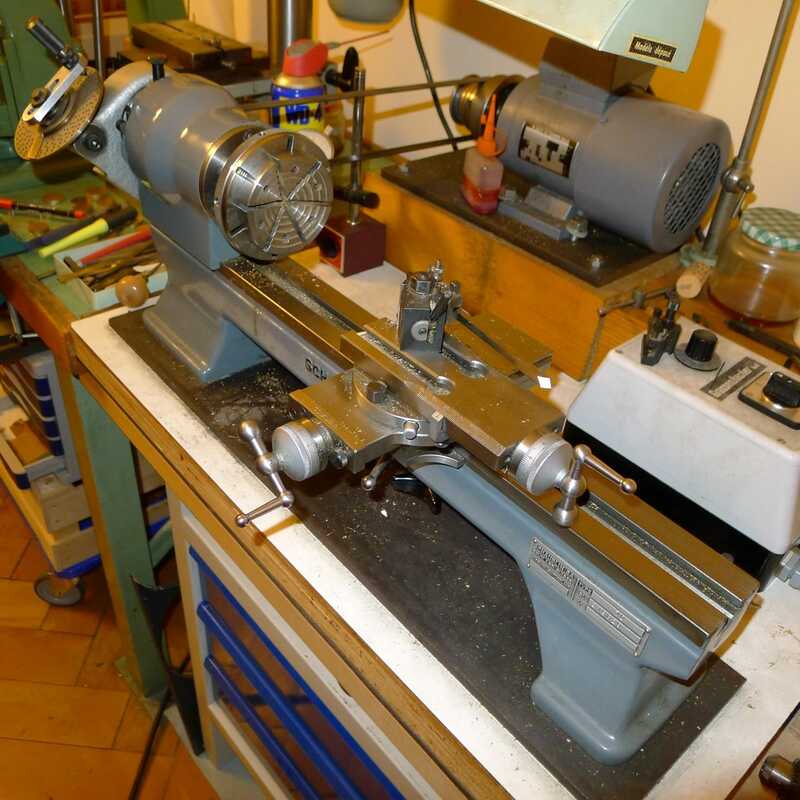 however, my workshop contains not only the usual tools of a watchmaker, such as a lathe, tools for punching and pressing etc., it also contains a jig borer by hauser, lathes by schäublin and a small cnc by kern. 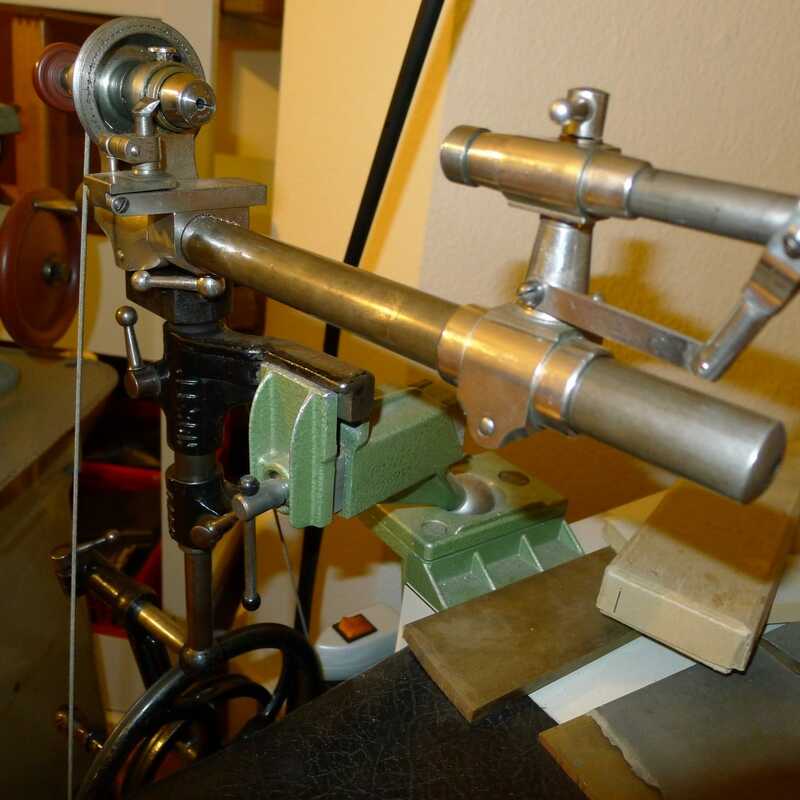 since i only work dry, i mainly use these tools to work with brass. to prepare for the production of the parts, i first construct them two-dimensionally with autocad lt. then i test my ideas three-dimensionally with solidworks. i plan my constructions in a way that allows me to fashion most parts on the cnc machine using different end mills on three axes (x, y, z). in that way, i can execute almost all kinematic processes of my constructions in a plain on different levels. and after all, most of the useful displays of a watch can be constructed with such kinematic processes, based on simple geometry. since the kinematic transmissions are mostly about a pure transmission of movement and not about a transmission or translation of force, precision is essential in the fundamental elements of the construction, such as pivots and circular pitches. another crucial point is the clever distribution of the different elements onto different plains of transmission. on the other hand, taking into account secondary dynamic influences, such as friction loss, is of lesser importance. the effects that different materials have on each other can mostly be neglected in the construction of kinematic processes, so that brass on brass or in brass can run smoothly without pressure. for turning parts such as gears, i therefore allow myself to leave the axis pins in the milled out plates instead of using axes that are set into mortises or rubies. and anyway, i always try to use gears, if possible, and to avoid using springs and levers for limited back and forth movements – as is usual in classic perpetual calendars for example. of course, this calls for a completely different construction than the one commonly used. to nevertheless reach the same goals in terms of the display, i often use the principle of the maltese cross to interrupt movement and to execute it incrementally. i also revert to cog gaps and cogs that are complete or clipped to occasionally double the steps of incremental turns or to speed them up. i can thus create or program irregular movements. similarly, i revert to epicyclic and differential gears to refine the gear ratios, to reduce the number of parts or to save on gears. correspondingly however, the calculations needed in the construction stage are the more complex. at a certain size and with a limited degree of refinement of the parts, i am able to fashion, if not all, so at least most of the parts needed for the displays that seem important to me with the cnc machine when engaging in this type of construction. 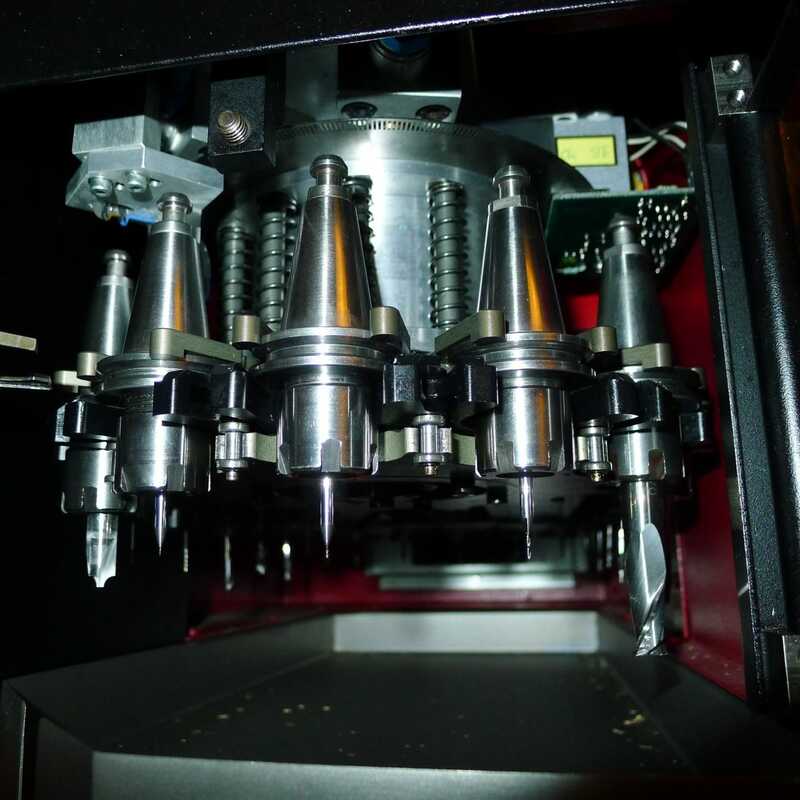 for this purpose, i use not only certain form mills, but also different end mills which vary in size from a tenth of a millimeter to ten millimeters – thus i could mill out gears with a module of about 0.07. however, i try to avoid milling diameters smaller than 0.2 millimeters, because the smaller mills are very delicate, after all, and can break at the slightest excess of pressure. 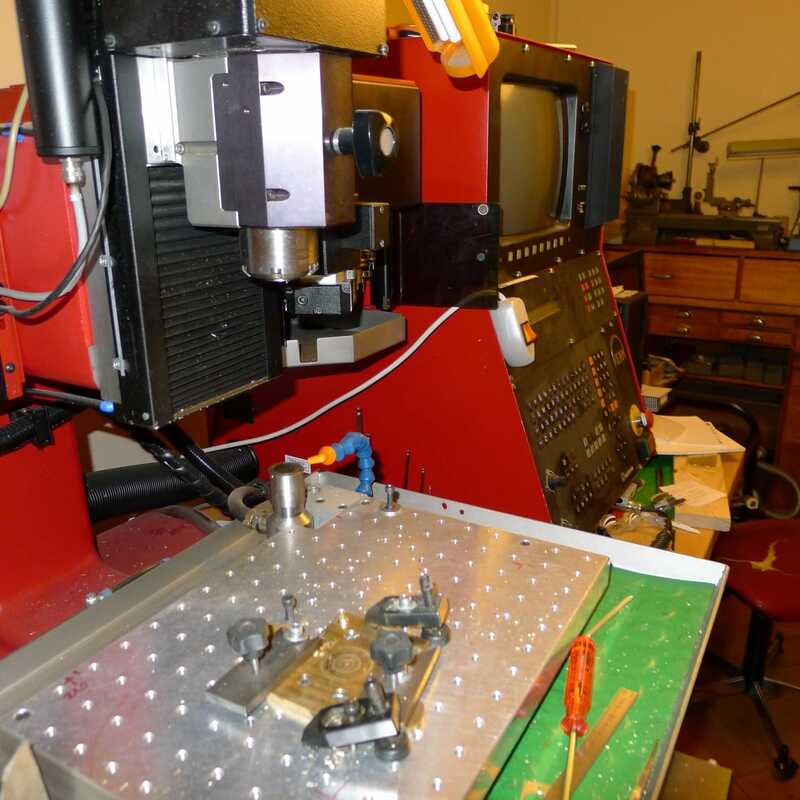 in conclusion: the means available, in particular the cnc machine, determine the construction type and possibilities. and taking into account the relation between input and output forces me to focus on what is essential and absolutely necessary. both of these factors thus decisively influence my so-called minimalist construction style. however, to address the different problems with the limited means available and to achieve the desired displays requires an intellectual effort. this effort is the larger, the more one wants to find solutions that address very different problems simultaneously, or in other words, the fewer parts one wants to use. the goal is to avoid an additive accumulation of individual solutions and correspondingly, the need for a large number of parts. this necessarily leads to a simplified, yet intellectually more challenging construction as well as to simpler parts and a smaller number of parts to be produced. what do you need a watch for? for the purpose of orientation in life. we want to know what time of day it is, what day of the week it is, what month, what year, maybe even what time of day it is somewhere else on this earth, how long something takes or has taken, or how long it will be until something happens. and we want the information on all of this to be as accurate, as clear and understandable, as precise and reliable as possible. 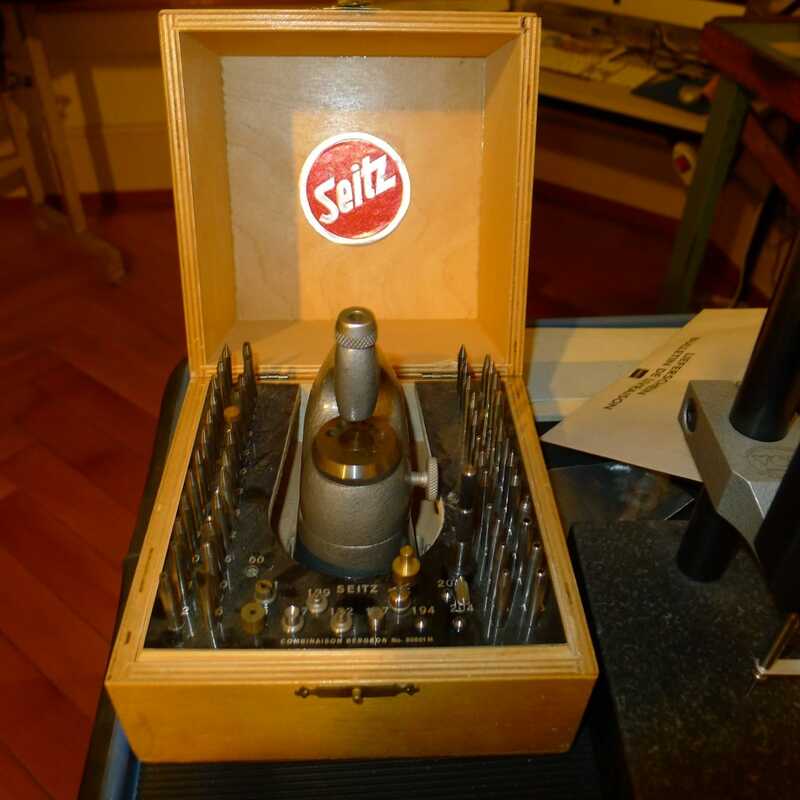 as a watchmaker, i want to produce tools that are suitable and useful in answering these questions and wishes. contrast, color choice, the size and shape of the parts are the elements that determine whether a display is clear and understandable. the hands should therefore be easily distinguishable from each other and from the dial. the dial should be clear and not cluttered; all displays should be readable to the same extent from the same distance. the analogue display so familiar to us is of great help. i therefore try to design the dates in that way, too. to base my design on the familiar analogue display with its division by 60 and 12, i use a series of 30 holes arranged in such a way that every second unit of the division into 60 can be read as a unit of the 30s division. since the date sometimes requires 31 units, i have designed the series of holes as a spiral with the 31 coming to sit above the 1. counting the date thus becomes easy since the 10 unit markers of the 60s division are also the 5 unit markers of the 30s division and thus of the date. correspondingly, i highlight the 10 unit markers of the 60s division on the dial or suppress the 5 unit markers of the same division. as in production, the main point is to focus on the essential, though the goal here is the optimal readability for the user. in summary, the priority given to producibility and usefulness automatically leads to a good feeling, if it succeeds convincingly, for the producer as well as for the user. that the product is seen as beautiful is a consequence of that. also, the minimalist construction that focuses on the essential and the necessary ensues from the limited means on the one hand and from the functions, which must be suitable for daily use, the clear design of the displays, and the simple shape of the case on the other hand. speaking of the latter, the case consists of only two parts, namely the frame for the glass, including the glass and the crown lug, and the case back. 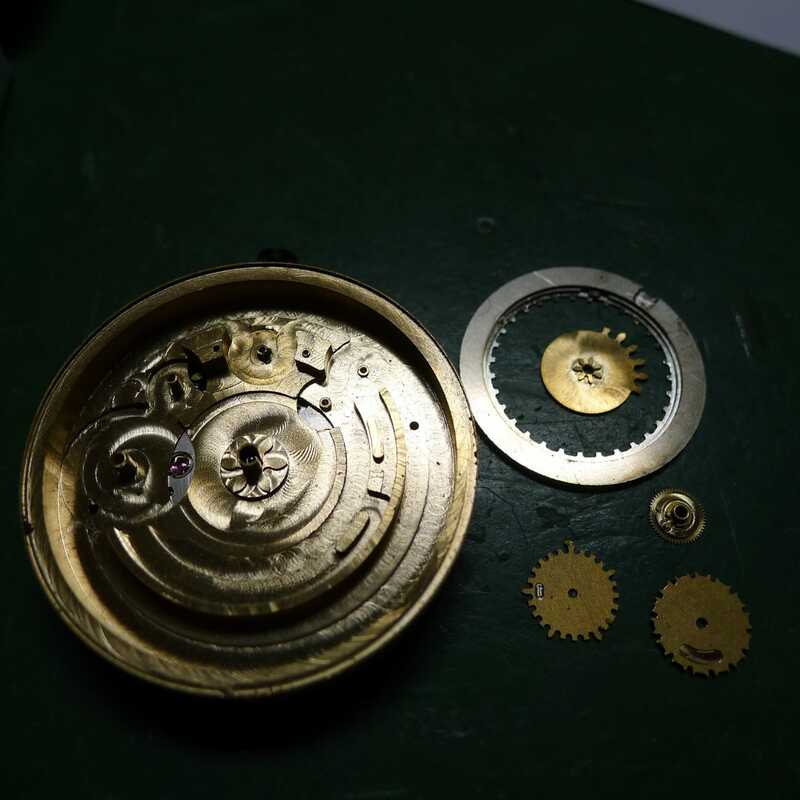 the movement is wedged or “sandwiched” in between the two, and is hermetically sealed and thus waterproof.